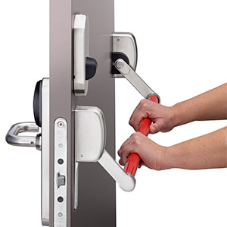 The Salto Clay Doorlock is specially designed to fit Euro and Scandinavian profile doors, even narrow profile framed doors. 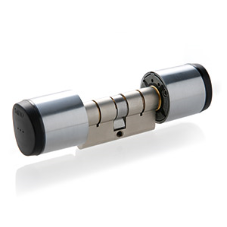 They work with the vast majority of European, Scandinavian and Swiss mortise locks and cylinders. 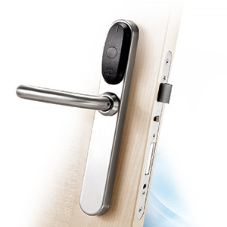 The Salto Clay Doorlock is IP55 compliant so it can be applied at the exterior of your door. The Salto Clay Tag is the smallest of the Clay family but highly secure and just as good-looking. The heart of the tag holds the most secure RFID chip available in the market to make sure that its impossible to duplicate the Tag ID. Available in 5 colors: Black, White and 3 Greens! The ClayIQ is the center of the Salto Clay Universe. It connects your wireless locks to the My-Clay cloud. 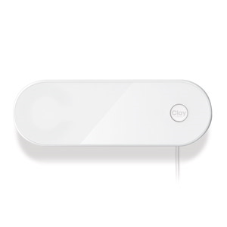 Mount the ClayIQ with the included mount bracket, plug it into the power outlet and activate it in your My-Clay account The ClayIQ doesn't use Wifi but manages the internet connectivity by itself. The rule of thumb is that wherever you can make a cellular phone call you can install a ClayIQ. Maximum distance to the Salto Clay locks and cylinders is 10 meters but in case you need more we have Salto Clay Repeaters available to go up to 60 meters. 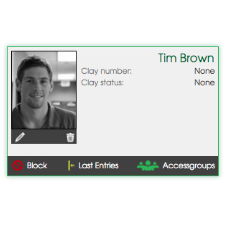 No software installation, scaling on any device, secured login, intuitive design, anything you may expect from today's cloud solution is in My-Clay.com. 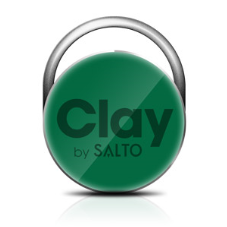 Manage locks, people, messages and access rights with no hassle Available for IOS, Android and Windows Phones (Windows 8) the Salto Clay App enables you to manage your Clay system when you are on the go. It offers those features that you want to be able to do whenever and wherever.